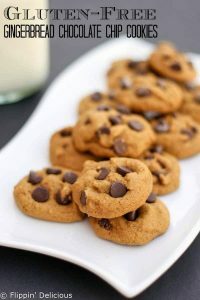 Sweet, spicy gluten-free gingerbread chocolate chip cookies. All the holiday flavors of your favorite gingerbread men, but in an easy to make drop cookie form. Chocolate makes everything better, right? And Chocolate dipped gingerbread are no exception. These chewy cookies have all the same flavors, but tossing in chocolate chips is so much easier. Perfect for baking when the holidays get busy! It is no secret that I love cookies. 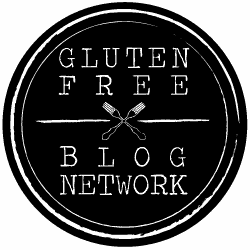 I mean, I wrote a cookbook all about gluten-free cookies, I ran a baking company making gluten-free cookies, and I have several recipes here on Flippin’ Delicious (like my famous gluten-free Lofthouse copycat soft frosted sugar cookies. )So of course I was super stoked to be able to participate in The Great Food Blogger Cookie Swap this year. The Great Food Blogger Cookie Swap is an event where hundreds of food bloggers raise money for kids cancer, mail a dozen Christmas cookies to 3 bloggers (mine went to Sassy Southern Yankee, La Casa De Sweets, and Cafe Johnsonia), and receive a dozen cookies from 3 different bloggers (The Snixy Kitchen, Food by Mars, and Cucina Kristina). 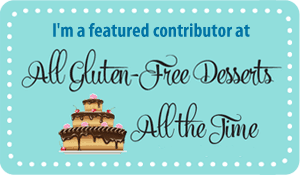 I had so much fun participating because not only did I get to eat a bunch of cookies, I also got to make some great gluten-free blogging friends. Luckily this recipe makes a big enough batch of cookies that even after I sent them out to my Cookie Swap matches there were still plenty for me to eat at home. And share with my mom. Chocolate dipped gingerbread is her favorite Christmas cookie and these cookies have all of the same flavors, but with just a fraction of the work. I hope that these become a holiday favorite for your family, they definitely are for mine! Preheat the oven o 350F and line your baking sheets with silicone baking mats, or parchment paper. Add the egg and molasses and cream until smooth. Add the spices, xanthan gum, baking powder, baking soda, salt, and my gluten-free flour blend. Mix until combined. Add the chocolate chips and mix until evenly distributed. 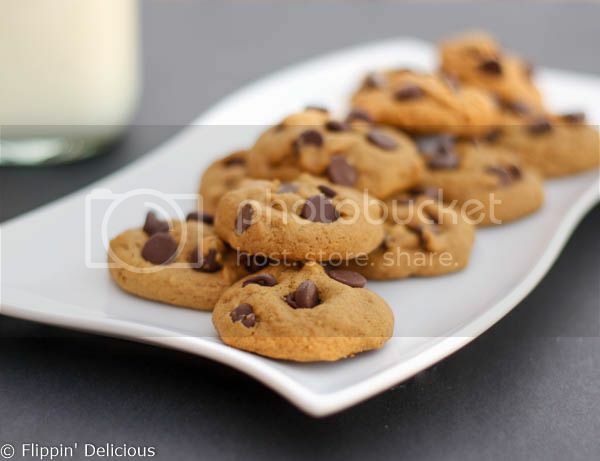 Scoop onto prepared baking sheets using a 1 Tablespoon cookie scoop. Bake for about 8 minutes, or until they lose their doughy shine. They will still be soft if you touch them, but will set up more as they cool. To get updates for next years cookie swap go HERE. Love the idea of gingerbread and chocolate together! Your cookies look so delicious and the cookie swap sounds like so much fun. So glad your mom gets to enjoy these cookies too! Thanks! The cookie swap was a lot of fun, I definitely plan on doing it again next year! 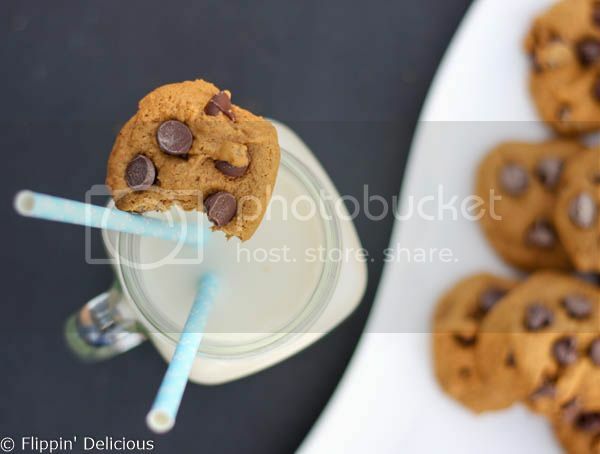 Wonderful holiday twist on the classic chocolate chip! Those look like perfection, Brianna! I love all things gingerbread AND chocolate chip cookies, but never thought about combining the two before. Intrigued by that little bit of chili powder in the recipe! Thanks Shirley. That white chocolate candy cane fudge looks amazing! Thanks Jennifer, one of my favorite holiday flavors. Merry Christmas! These look amazing. I’m a big fan of the gingerbread and chocolate chip combo, but I haven’t yet combined them in a cookie, so I might try that :-). Beautiful photos, too. These cookies look picture perfect! Can’t wait to try them! These look delicious! I absolutely love chocolate chip cookies. Love the addition of molasses and ginger! !